- Injury report: For the Raptors, Jonas Valanciunas (left thumb dislocation) is out. For the Bucks, Eric Bledsoe (right thumb sprain), Malcolm Brogdon (sternal contusion) and Sterling Brown (right wrist contusion) are all listed as probable. 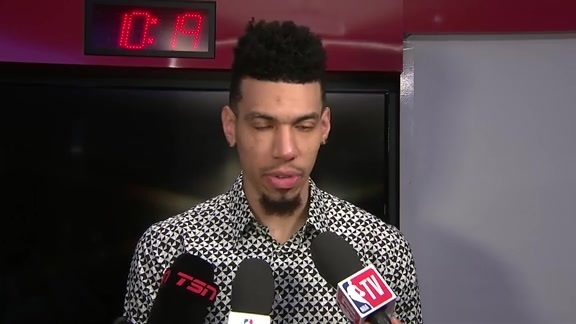 - Back to business: The Raptors return to the court at Scotiabank Arena following a three-game road trip and a rare three-day break between games to host the Milwaukee Bucks. Though the Raptors have the most wins in the league (37-15), the Bucks lead the Eastern Conference (36-13) by win percentage. Toronto enters Thursday’s game on a season-high 10-game winning streak at Scotiabank Arena, the team’s last loss at home coming against this Bucks team on Dec. 9. - Recent history: This is the final of four regular-season meetings between these teams. The Bucks lead the season series 2-1, but Toronto won the last meeting between the two, 123-116 on the road in Milwaukee on Jan. 5. 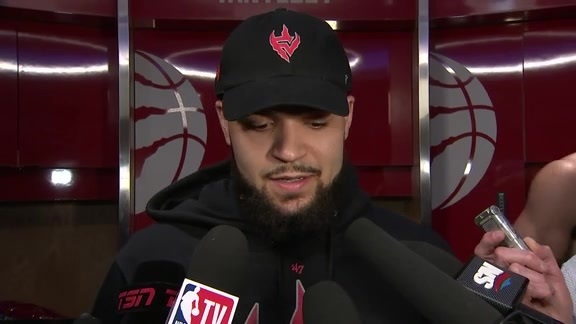 With Kyle Lowry out because of a sore lower back, Kawhi Leonard and Pascal Siakam led the way with 30 points apiece while Serge Ibaka added 25 points and nine rebounds and Fred VanVleet added 21 points. Giannis Antetokounmpo did his best to lead a fourth-quarter comeback, but the Bucks fell short despite his 43-point, 18-rebound performance. - Sophomore star: The NBA announced the lineups for the 2019 MTN DEW ICE Rising Stars game on Tuesday and Raptors sophomore forward OG Anunoby has been selected to participate during 2019 All-Star weekend in Charlotte. Anunoby is the 12th player in franchise history to participate in the event and the first since Jonas Valanciunas was selected in 2014. Anunoby is averaging 7.3 points and 3.0 rebounds in 20.4 minutes per game this season. He will represent the United Kingdom as he plays for the World Team. Last season, the World Team defeated the U.S. Team 155-124 in the Rising Stars showcase. - Point stacking: Kawhi Leonard scored 33 points in Toronto’s 123-120 win against the Mavericks on Sunday. This keeps his career-best streak of 22 consecutive games scoring at least 20 points alive, and has him one game away from tying Vince Carter’s franchise record (23 consecutive games). Carter has accomplished this twice, most recently during the 2000-2001 season. Leonard is averaging 27.9 points (fifth in the league), 7.9 rebounds, 3.2 assists and 1.9 steals in 35.1 minutes per game this season. - Doing it all: The Bucks enter Thursday’s game having won seven of their last eight games. Most recently, Milwaukee earned a 115-105 victory over the Detroit Pistons behind a 21-point, 11-assist, eight-rebound, three-steal, two-block performance from Giannis Antetokounmpo. The sixth-year forward is averaging 26.5 points, 12.6 rebounds, 5.9 assists, 1.4 steals and 1.4 blocks per game and will be the captain of the Eastern Conference All-Stars.